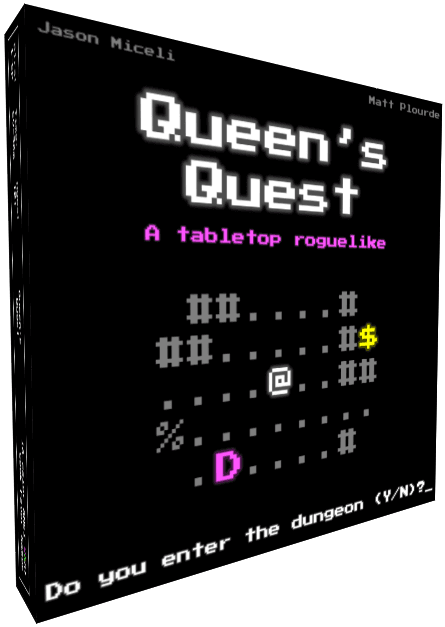 Introducing Queen's Quest, the most authentic roguelike ever designed for tabletop! 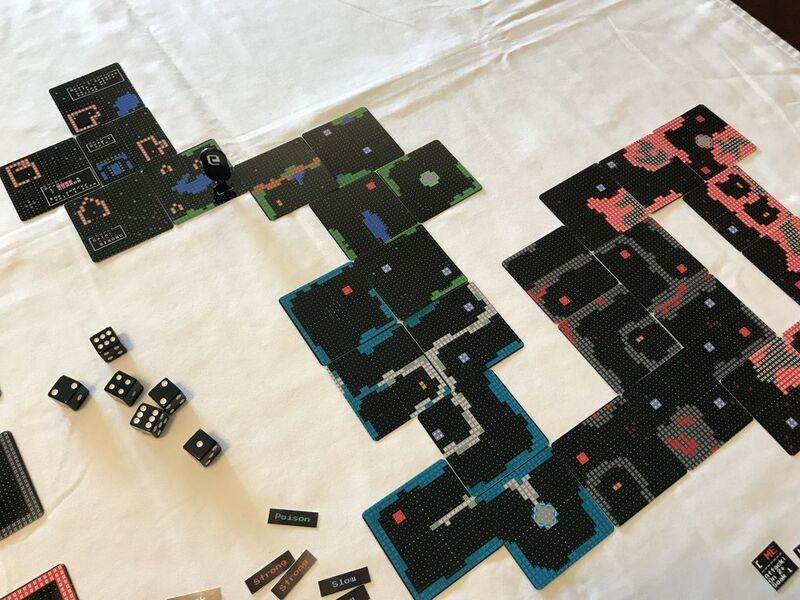 Queen's Quest is a cooperative, asymmetrical dungeon-crawler board game for 1 to 6 players, playable in 60 to 90 minutes. 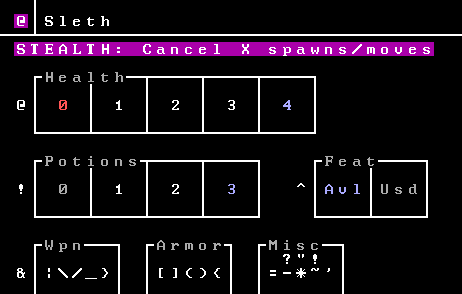 Extreme care was taken throughout the design of Queen’s Quest to uphold the integrity of an authentic roguelike. 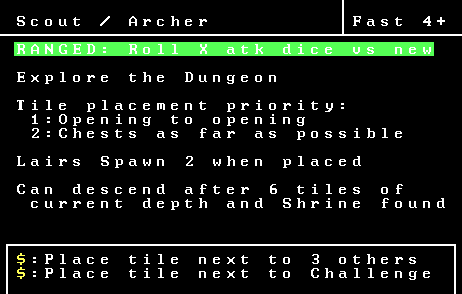 We kept to using pure black backgrounds, mono-space fonts, lower ASCII characters for the dungeons, and the 16 standard VGA colors. 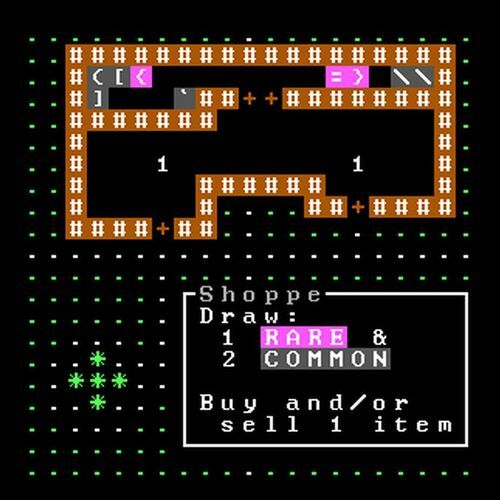 The game includes critical roguelike elements such as a high fantasy setting, procedurally generated dungeons, resource management, rich character development, monster dens, the choice to return to town when desired, appropriate complexity and depth of gameplay, and perma-death. 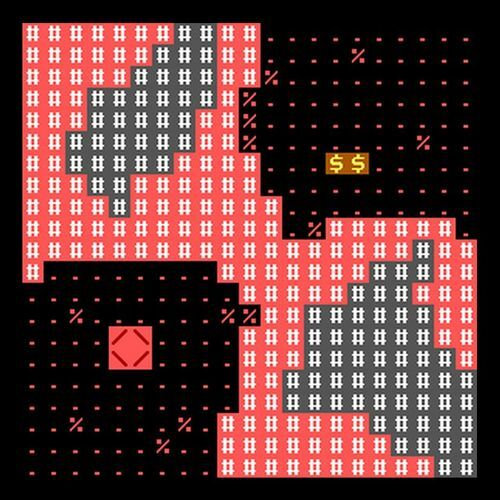 We believe we have faithfully recreated the wonder, mystery, intensity, and pure awesomeness of a true roguelike. Queen's Quest is being submitted to The Game Crafter Dungeon-Crawler contest in August, 2017, and we will also be seeking out the perfect publisher for this unique board gaming experience. 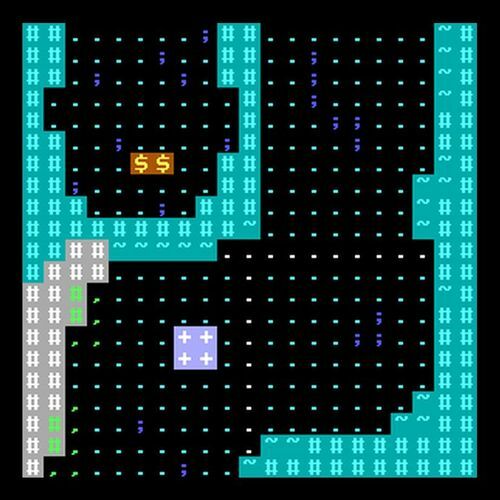 While the core game doesn't require this hyper-authentic retro-roguelike theme, we believe it holds something truly special and unique within the gaming industry. I will be posting to this thread regularly over the next 30 days, as I finalize everything for the contest submission. The game has been in development for many months now, so the next few posts will follow quickly with many examples of the game's components and artwork. We look forward to hearing any and all feedback! 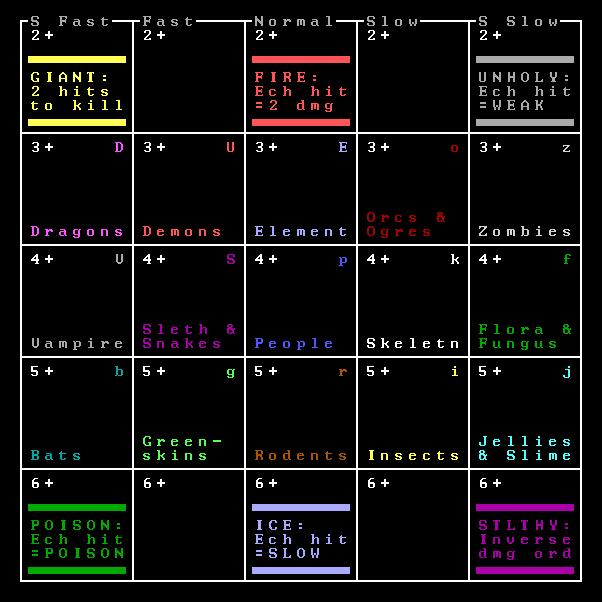 There are 5 different depths to the dungeon. Below are their names and some examples. 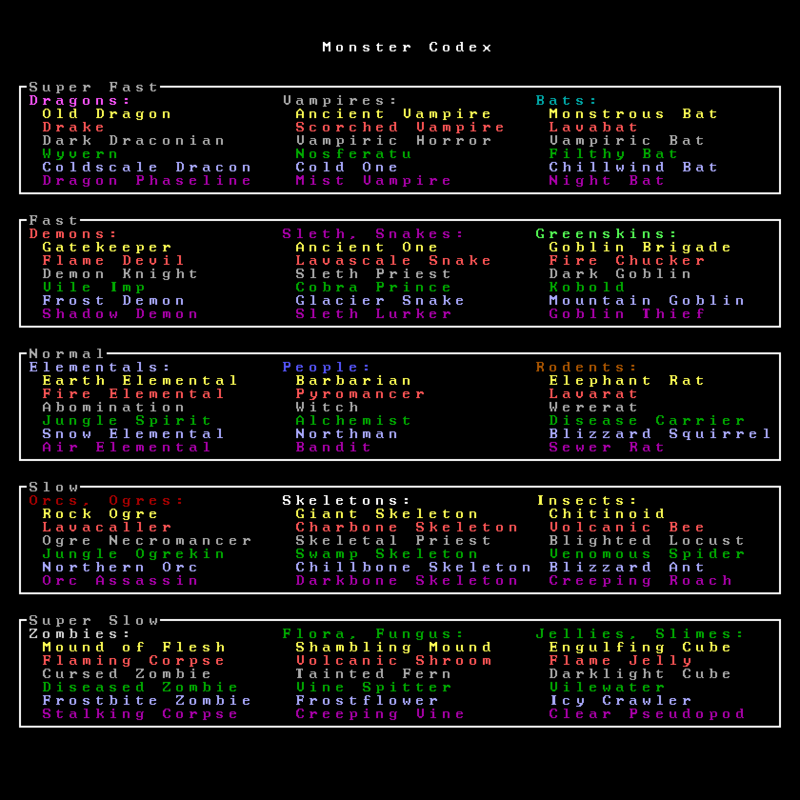 To give you some idea of just how many combinations of possible monsters there are, here's the entire Monster Codex! 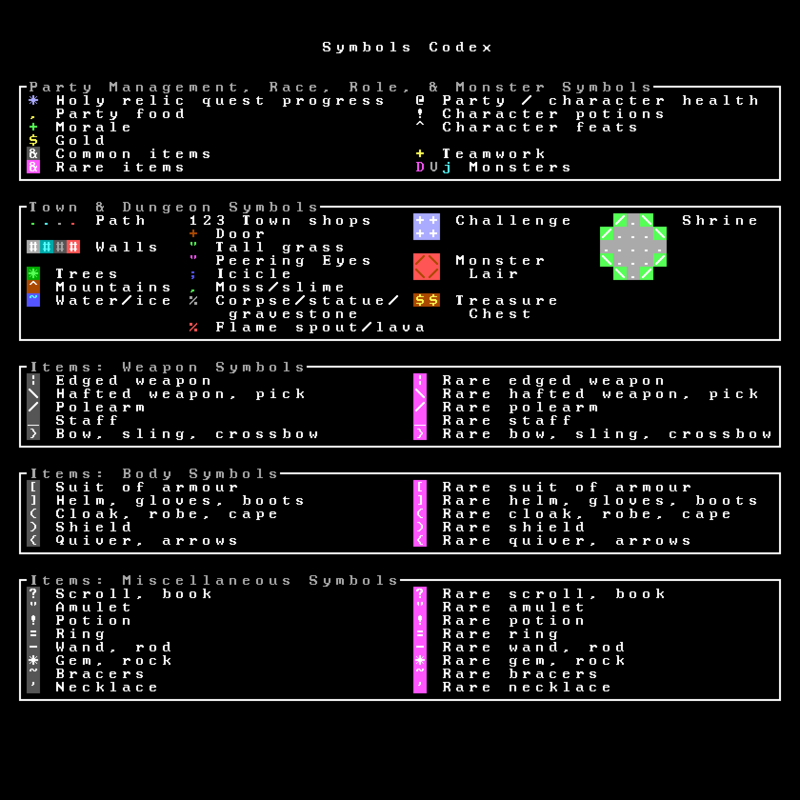 On the flipside of the Party Management board is a complete codex of all the symbols used in Queen's Quest, as any good roguelike would have! "Should Queen's Quest be a full coop, or a semi-coop?" I've struggled a lot with this question over the past few weeks. 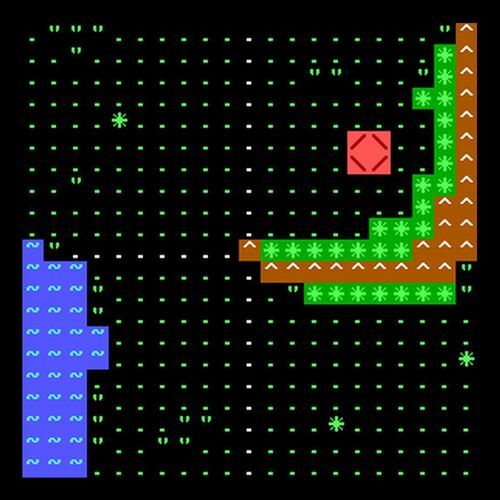 When this game was first conceived, it was a clear "semi-coop." Meaning, the entire party could lose, but if the party succeeded in their master goal then only the player who had successfully satisfied the most individual tasks would actually win. This meant players needed to work together to a degree, but at the same time they had their own personal motivations to follow. I recently made the decision to embrace a full-coop model, rather than the semi-coop one. 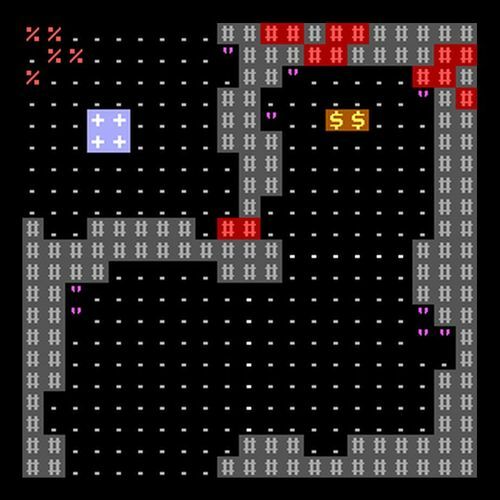 After playtesting the former model a few times, while it played well enough it didn't seem to have the exact right feel I was going for, especially for a roguelike. This has opened up a host of new opportunities, as well as some mechanic simplifications (since we no longer need to keep track of exactly who did what, and when). Now here's the kicker - I'm still building in the potential for "personal gain." The gain comes in the form of gold, potions, items, etc., all needed for your character's development. So while everyone is working together to satisfy the Queen's Quest, how each player proceeds will still be entirely up to them. In many ways I feel this mimics traditional D&D - you have your own character, a personal development path, and interesting decisions to make regarding acquired gold, experience, items, abilities, etc., yet you're still working together towards the larger goal. 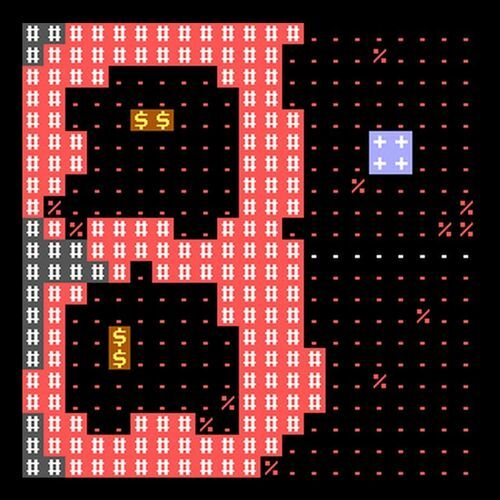 I believe this element will create a super rich adventure party feeling, help mitigate some of the traditional "quarterbacking" problems found in many coops, and ultimately reinforce the game's core mission to deliver an authentic roguelike experience. 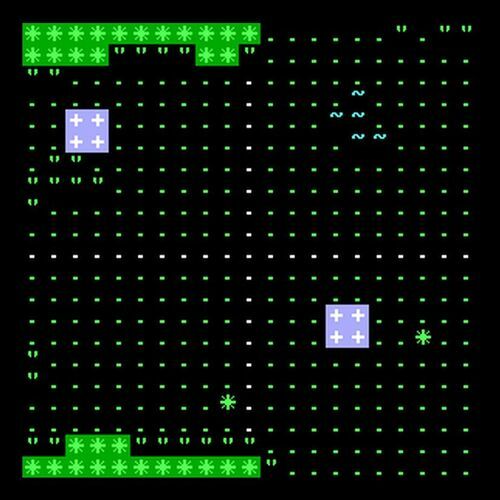 I've also toyed with the idea of a "one vs. many" model, whereby one player plays as the dungeon, controlling all the forces of darkness, with everyone else playing as the heroes. 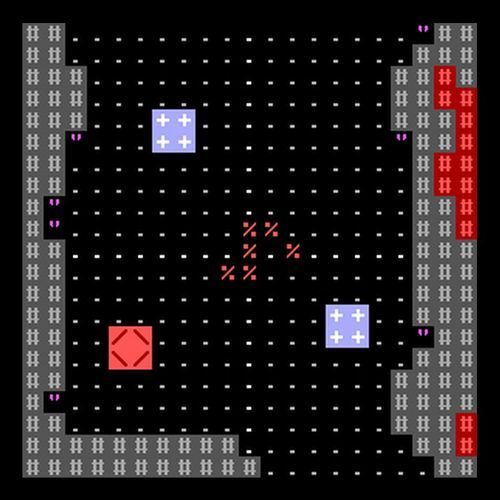 While this could be done, I don't believe this is the game for that model - that would break from the roguelike roots, and the game would need to be engineered in a whole new way. So in short, at the moment this game will be a full-coop... but always happy to hear any counter-points or other ideas! 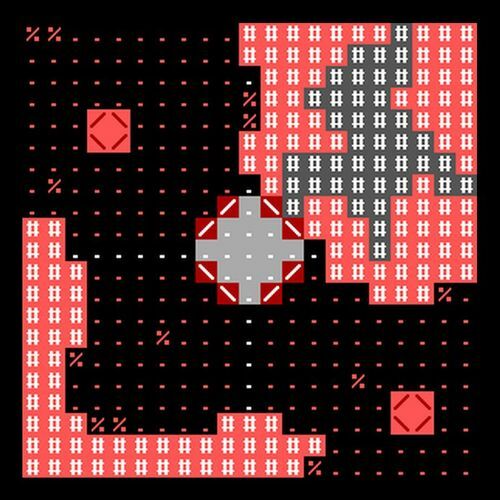 Since posting this WIP thread, I've had several inquiries about a potential solo mode for the game. The short answer is, YES, I will likely be able to do this. 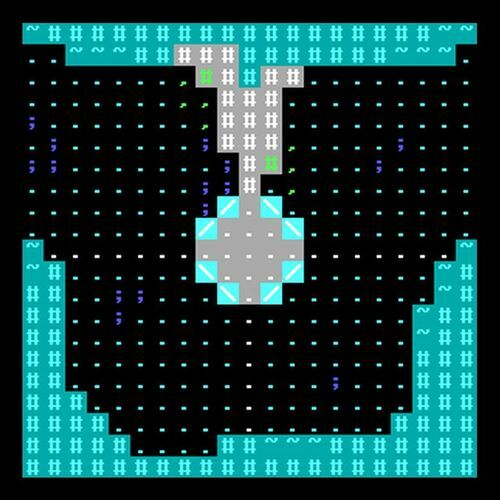 It will take a bit of work, but because the game is now full coop, it's absolutely viable. As I mentioned above, when the game began it was a "semi-coop," where having a solo mode wouldn't have made much sense at all. But since I made the switch to full coop, I should be able to make this happen. Stay tuned for more details, but assume this will be a 1 to 6 player game soon enough! 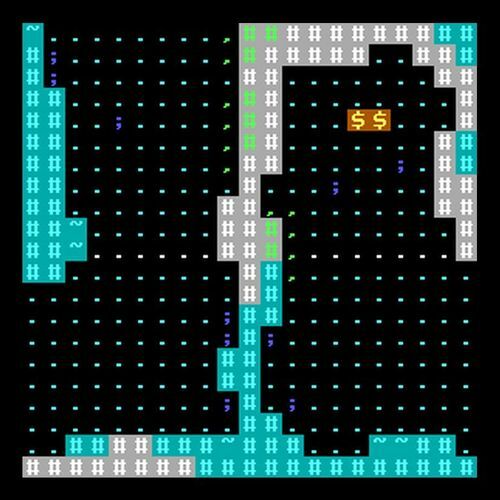 While I am familiar with a roguelike game, I've never played them. I've just heard they are meant to be punishingly difficult. 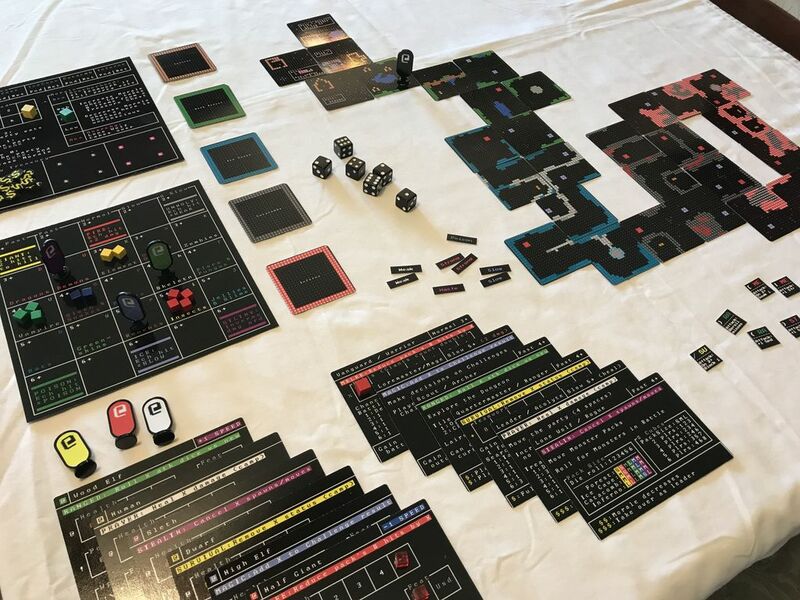 Having said that, I kinda like the artwork and retro look (although there are a LOT of board and card games that have come out in the last five years that use retro video game graphics - Boss Monster, Pixel Tactics, Oregon Trail the Card Game, heck, right now on kickstarter there is another one). I just hope that you don't get lost in the shuffle. What will the characters look like? Will they be square cardboard chits? How about the different monsters? Personally, I feel like it works best as a pure co-op, just based on what I am seeing here so far, and the general aspirations of the game/style. I mean technically, being 100% true to the form I guess it would be a single player game - but that's not super conducive to the medium so I think a co-op adventuring party that faces an AI adversary is the next closest (and most fun). How do you envision handling death in this game? I have some thoughts, but wanted to see if you crossed that bridge already. I think the unique thing in this case is that it's retro-retro! I haven't seen any other game that's gone back as far as this... but who knows just how popular that will actually be. We'll see! 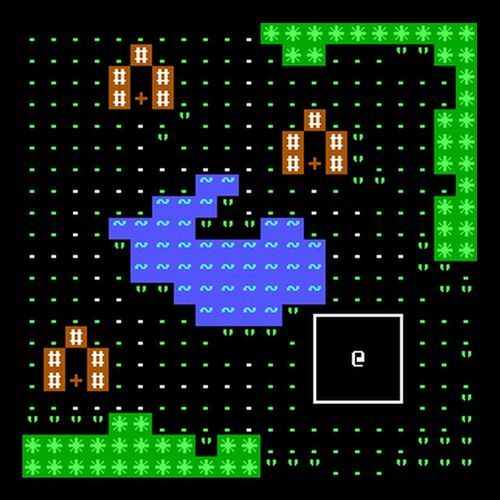 Yes, characters and monsters will all be represented by @ symbols and letters of different colors, just as in authentic roguelikes. I will have some pictures with my new prototype copy coming in in just a couple days, so you can see how this would work in reality - there will be standees with the correct symbol printed near the top for each unit. 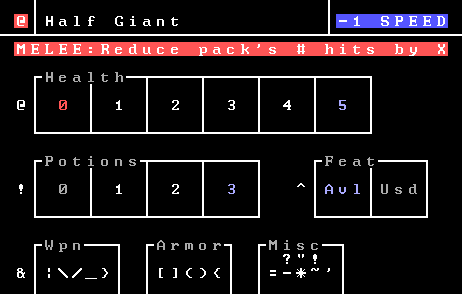 The at-sign is the typical character symbol for roguelikes. It varies by game, but mostly follows the same naming convention. And indeed, in the Symbols Index listed above, @ is listed as the Party/Character health and D, V, j are listed as monsters. Hey Carl! 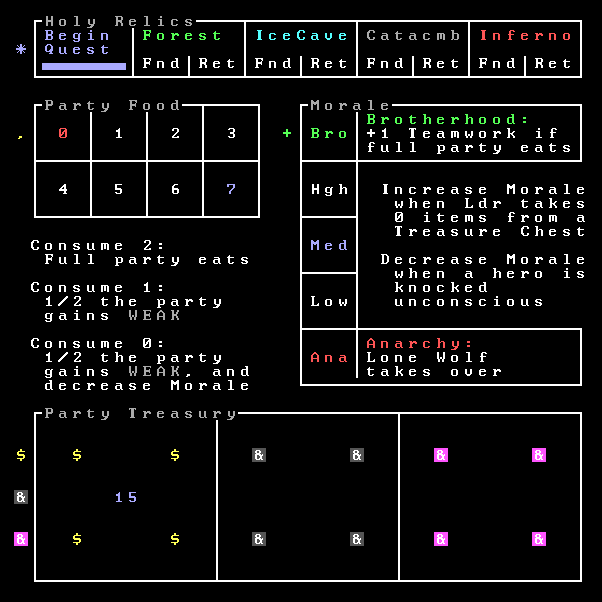 Actually, there are some coop roguelikes out there, such as TomeNet (LoTR universe, supporting multiplayer). 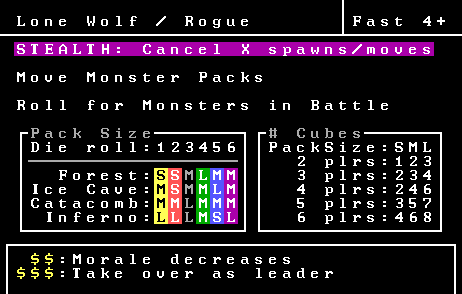 Certainly the original Rogue was not multiplayer, but at this point there are a few. Death. Certainly the easy answer is if the entire party dies, game over. But that's true of all coops. 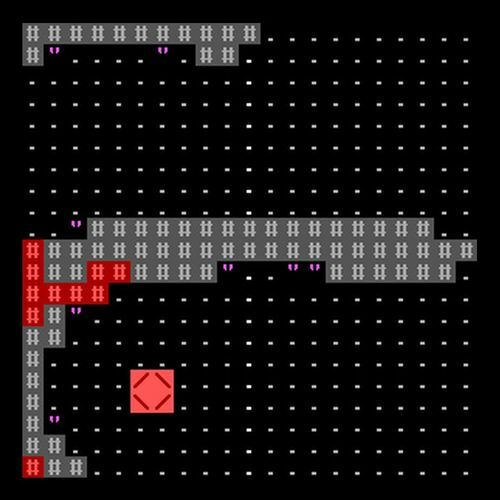 What I'm now toying with is how to handle individual player death, which is certainly part of a true roguelike. 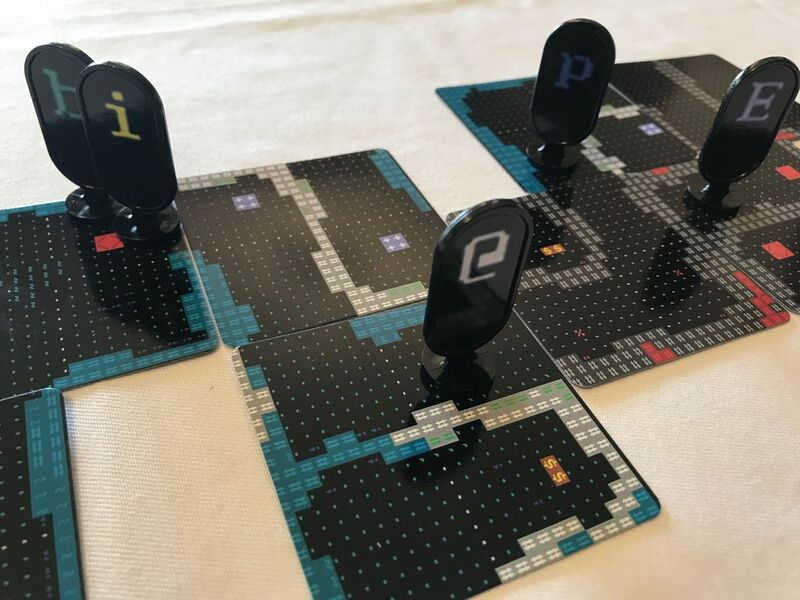 Of course I also need to be hyper-cognizant of boardgame design best practices, such as not having player elimination in a 60-90 minute long game! So what I'm currently thinking is that if a player's character really dies, that character will be removed from the game, and that player will "gen" a new character from scratch. The new character will need to be found further in the dungeon, and/or perhaps back at town in the tavern. The character wouldn't have all the items and other achievements, but would still be able to integrate with the party and probably level quick enough to be on par. That's the current thinking at least! Yep that's where my head was going with it too. 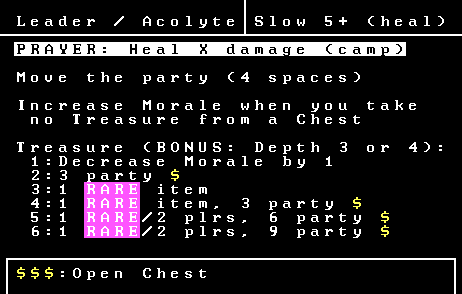 In some current (retro) video game dungeon crawlers, they allow you to "find your body" - as in, if you die you must restart but if you can make it back to your point of death you can reclaim any lost gear, then I suppose in this case, go meet up with your party. Or skip the gear, and just try to meet up. Either way, definitely think perma-death should be avoided, but also the penalty / risk needs to be severe enough where if 3 of the 4 party members die, the outlook for success should be quite bleak. 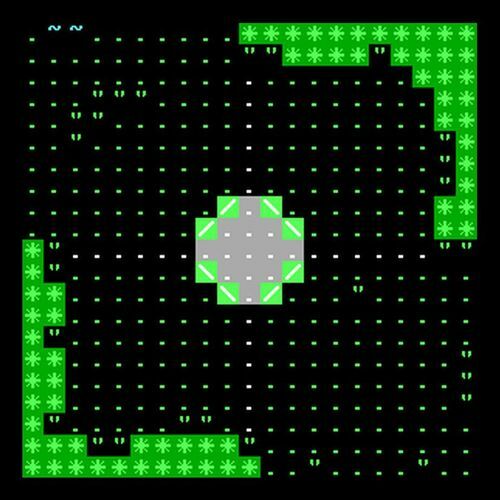 Well to be clear, complete player elimination should be avoided at all costs, but "perma-death" can be spiritually represented in the game in a number of ways, and that would be beneficial for the roguelike theme. I believe I just doubled the number of races in the game, from 6 to 12! Because of how races work in this game, it's very easy to add more without throwing off balance. 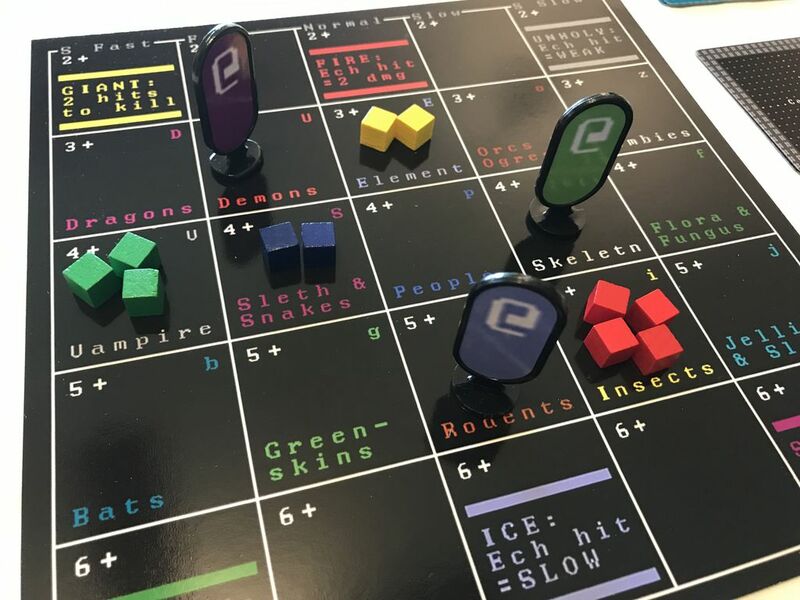 The number of character pawns will remain at 6 (max 6 playable characters at any one time), but each race mat will be two sided, and each side on the same mat will utilize the same player color. 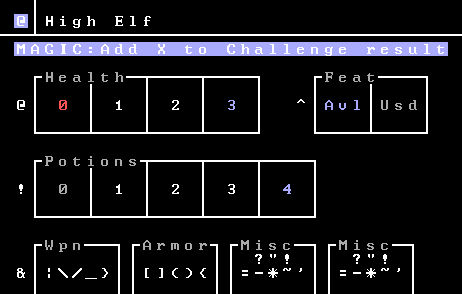 So for example, on the opposite side of the green Wood Elves will be Fairy (still green in player color). On the opposite side of red Half Giant will be Troll. On the opposite side of purple Sleth will be Dark Elf or Night Goblin. Etc.etc. Specifics still TBD, but this works extremely well, and allows for much more variability, especially considering the way I want to handle character death in the game - this way when a player comes back in the game as a new character it will always be able to be different from the previous character, even in a 6 player game. Love little design bonuses like this when they come up! 3 of these also include the new special ability, Flying, which will allow a defensive maneuver in combat. Moving on! 1. If the character takes excessive damage: If a character takes enough damage to reduce them to 0 health, they are simply unconscious. If they take additional damage, they will die. I think this works, but it does mean only certain types of monsters/attacks will have a chance of killing characters, since most standard attacks do 1 point of damage. For example, a fire based attack will always have the possibility of killing a character, but an ice attack would not. 2. If the character has been unconscious for a certain amount of time: In this model, characters would always fall unconscious when their health falls below 1. Then, if X battle rounds pass (thinking 3 or so), if the character has not been revived by another character or the battle has not ended, that character dies. This allows the possibility of death from any attack, and also adds some amount of tension and uncertainty. 3. If the character takes a specific type of hit, or a hit from a specific type of monster, or a hit during a certain type of battle: Meaning, only in certain situations would death be a possibility, such as a boss fight, or when fighting a monster with an unholy attack, etc. Like #1, this seems kinda situational, and possibly fiddy from a rules perspective. As I'm thinking about this more, I'm starting to like idea #2 more and more. It would take a way to track "time" in battle (not hard), but adds a layer of uncertainty, strategy, and variability. I had been planning on #1 thus far, but will start to play with #2 in my next rev. Welcome any other thoughts! One fantasy adventure board game with a form of perma-death is Prophecy. If your health goes to 0, you're still alive, but if you take another hit after that, you lose your character and all items and skills and such, and you have to start from scratch with a new character. So that's very similar to your option 1, and it works there. Ah yes... good to know. I'm just concerned in this case that there aren't enough ways to take another hit in this game - once you're down you don't get hit, so it would need to be from the initial hit that knocked you unconscious - and for those, many are just 1 damage. But I'll keep noodling on it. What's important to me is that perma-death is the result of a player taking an unnecessary risk or a bad move, rather than just getting unlucky with a bad hit they couldn't've done anything about. That may fly in a rogue-like video game, but less so in a heavy board game. And I think that's why I love the idea of a 3 turn countdown... if a character goes down, and the other characters push their luck to try to end battle sooner, rather than spend time reviving, then it is a player driven "unnecessary risk or bad move"... and how you died in the first place could have been the same concept. This looks interesting! Do you have a quick summary of the rules or an overview of the gameplay? I will soon. I'm getting my new prototype in this week, and then I'll be taking some good snapshots and short videos to start explaining everything. Probably towards the end of the weekend I'll have a new draft of the rules I can post. All setup with my latest prototype for the next set of playtests! Now on to the actual playtests! !